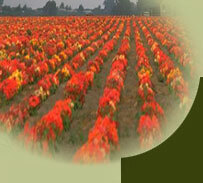 All the pictures shown on this website were taken from plants grown on the farm. They are the property of Skawski Farms. If you click on the link below with a dial-up connection, it may take 10-15 minutes to load. If you are interested in mixed hangers or containers, the wait will be well worth it. There are 65 pictures to view.